Madisyn Moore, handcuffed at school and left for an hour unattended. Her mother is now suing. By all accounts the U.S. drug war has failed: more drugs are sold on black markets, streets, and in alleys than before, trillions of dollars have been spent, and millions of non-violent offenders are now locked away. Some men and women will be incarcerated for the rest of their lives for non-violent drug crimes. However, in wake of the drug war and robust mass incarceration, the pattern of policing has trickled down to children. The “school to prison pipeline” is more than a euphemism. It describes zero tolerance policies, subjective discipline, suspensions, and expulsions. Most disturbingly, it describes a process that starts for some kids as young as five and six years old. 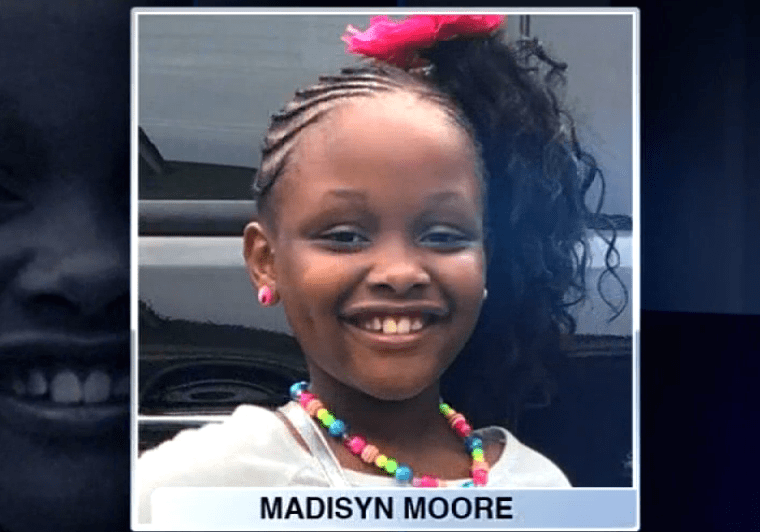 In our recent Huffington Post article, we describe how Madisyn Moore, a six year old, African American, was handcuffed behind a dark stairwell for more than an hour by a school guard who mistakenly believed the little girl stole a piece of candy. In defending his actions, the guard claimed, “‘I’m teaching her a f — -g lesson. She took a piece of candy and I handcuffed her under the stairs.’” It turns out the Madisyn’s mother packed the treat for her daughter. The guard was later fired, but the trauma Madisyn experienced will likely last for a long time. Across the U.S. children have been handcuffed, detained, arrested, charged, carted off in the back of squad cars–sometimes because they had tantrums at school, and other times to teach them a lesson. According to our research, disproportionately, these children have special needs. For example, in California, a five year old was arrested and cuffed at the ankles and wrists–and hauled off to a psychiatric facility. Often, the children caught in the school to prison spiral are Latino and African American. Last year, in Flint, Michigan, a seven year old was handcuffed at school and officers lost the key. Race is also a factor in school based arrests. Earlier this year, in Tennessee, police arrested several children ages 6-10 because the kids did not intervene in a fight off school grounds. None of the elementary school children participated in the fight; they were handcuffed and arrested for failing to stop a fight. These cases are shocking, but they represent only a few examples of the many cases throughout the U.S. In our work, we document the devastating impacts incarceration and the school to prison pipeline can have on children. We know through Professor Kristin Turney’s groundbreaking research that children of incarcerated parents suffer as much if not more than kids who experience a parent’s death. We also know that exclusionary discipline practices can trigger or exacerbate post traumatic stress disorder (PTSD), result in depression, anxiety, shame and stigma. Early suspensions and expulsions will also lead to children dropping out from school and detaching from adults. Handcuffing and arresting five and six year old children will not make schools safer from violence. Instead, it fosters a disregard for the dignity and humanity of the child and ultimately, our society. Michele Bratcher Goodwin is a renowned scholar, advocate, and author who has devoted her career to uplifting the voices, social conditions, and rights of women and children around the globe. A widely cited legal authority in constitutional law, health law, and women’s rights, her writings have been consulted by courts, legislators, government agencies, and civil society organizations. She has advised or given testimony before Congress and state governments as well as the United States’ Uniform Law Commission on privacy, the regulation of the human body, and reproductive health. Latest News from the Petrie-Flom Center!